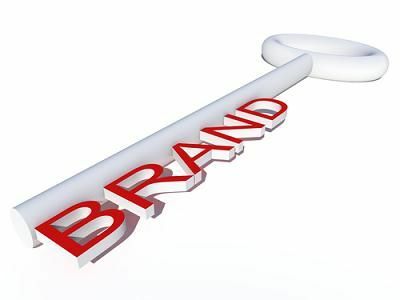 Company branding: When you successfully turn your company name into a brand, you infuse that name with the characteristics, values and benefits that customers associate with your company. A company with a good reputation can expand into other markets and count on the reputation to follow it into new areas. For example, customers know that products produced by the Coca-Cola Company — Coke, Diet Coke, Cherry Coke and so on — will all provide an expected level of quality, which promotes brand loyalty. Individual branding: Individual branding techniques focus on individual products rather than the companies that produce them. Many of the most popular consumer goods fall into this category. For example, Crest toothpaste is an extremely popular brand, but people who use it may not know or care that it’s made by Procter & Gamble. Instead, what they know is that Crest works for them and can be counted on to do what it says, tube after tube. Customers who’ve been influenced by individual branding will return to the same product again and again. Attitude branding: Attitude branding is often aimed at younger audiences of teenagers and young adults. This type of branding presents an image or attitude that appeals to the social, cultural and emotional status of its demographic. The clothing store Hollister is intended to attract young, stylish and upscale customers, while Hot Topic is more likely to appeal to a music and pop culture-influenced customer category. Hybrid branding: Hybrid branding combines the company and the product to produce a collective brand that trades on the best qualities of both elements. Branding using the terms Honda Accord, for example, tells customers they can expect a reliable product made by a well-known automotive company. Which of these four corporate branding strategies would work best for branding your company and getting the attention of the demographic you want to attract? Pingback: 3 Business Branding Errors to Avoid | Continuity Programs Inc.
Pingback: To Craft a Unique Positioning, Do a Brand Audit | Continuity Programs Inc.